The late founder of PBFDT and their prestigious awards. 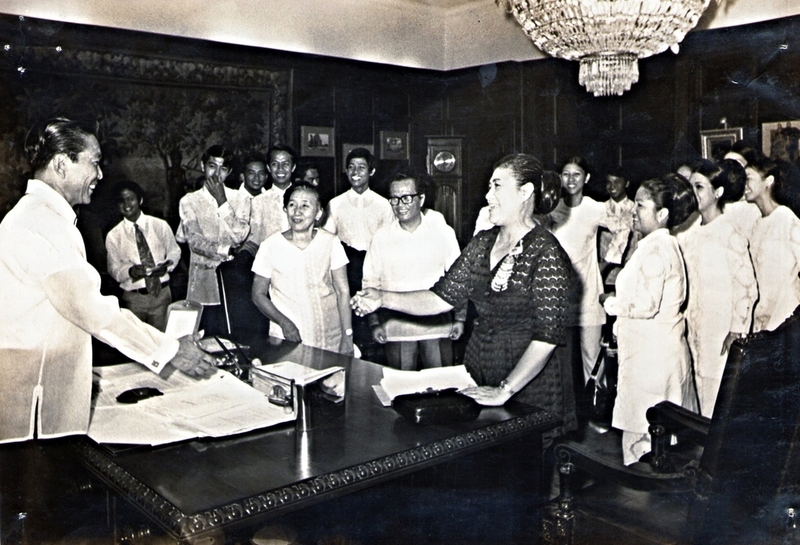 Courtesy call to the late President Marcos during the successful World Tour in 1968 in promoting the beauty of the Philippine Culture to the world. With late President Ferdinand E Marcos during the PBFDT courtesy call of their World Tour 1968 that lasted almost 8 months. Mommy Bel with her late husband Ramon Belmonte Sr.
Dr Paz Cielo A Belmonte classic portrait after receiving the highest Presidential Awards - a traditional awards by the President of the Philippines to outstanding citizens and organizations known as the Presidential Medal of Merit, for outstanding contribution to ADVANCEMENT OF PHILIPPINE CULTURE.